We have been working with CMS Wordpress for more than three years. We have more than 100 web-sites working on this system. 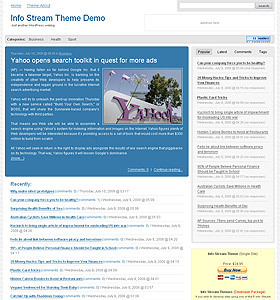 We have written more than 20 plugins for Wordpress and continue doing this. 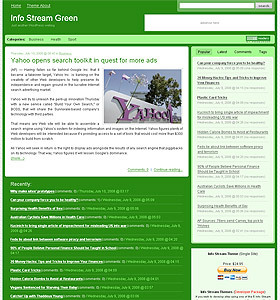 Info Stream Theme for CMS Wordpress is a full-function theme that looks great for a visitor and is correctly tuned for reading by search engines. 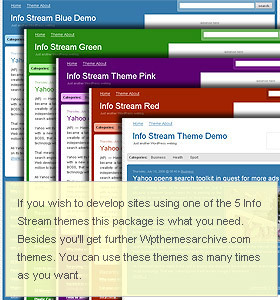 When you buy our theme you get an access to all future versions of this theme as well as possibility to download all new themes. We're planning to issue one theme per month. 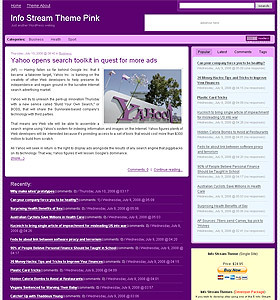 We'll also be glad to hear your feedbacks and suggestions concerning theme's improvement.